Gartner estimates that by the end of 2019, 30% of enterprises will use SD-WAN technology in all their branches, up from less than 1% today. 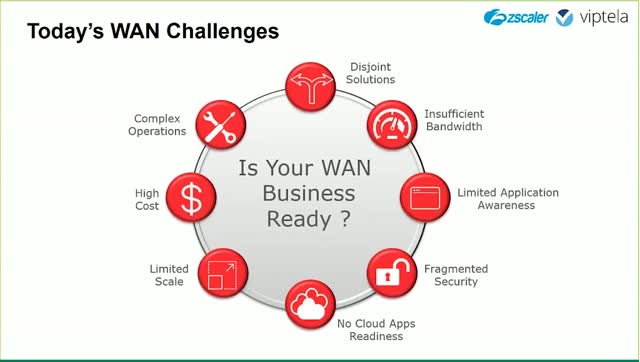 This is because SD-WAN is a transformational approach to simplifying branch office networking and optimizing performance. However, security is a critical factor for SD-WAN adoption, especially for cloud and Internet applications. With Zscaler and Viptela you can now secure all internet traffic without having to backhaul it to centralized DMZs. Customers have seen more than 50% WAN cost-savings while keeping their branch offices and employees protected.